The Book of Kells is widely regarded as Ireland’s finest national treasure. The Tara Brooch is a Celtic brooch / Celtic pin of about 700 AD generally considered to be the most impressive of over 50 elaborate Irish brooches to have been discovered. In Ireland, it is a popular legend that the Celtic Christian cross was introduced by Saint Patrick. 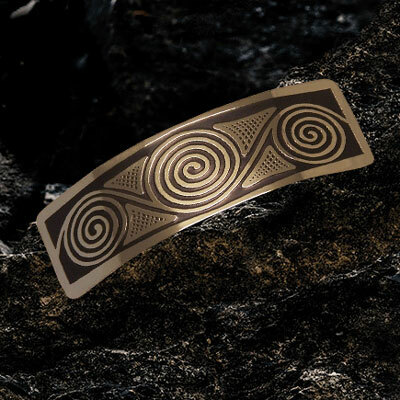 Paul’s jewellery range is inspired by designs from Irish Heritage , Pictish designs and Celtic Art from the Book of Kells.